The New York Giants could easily decide to spend their No. 2 overall pick in the first-round on Penn State running back Saquon Barkley. Barkley is a potential generational talent at the next level, which would give the Giants two unparalleled talents on offense for Eli Manning to work with. Head coach Pat Shurmur would have a plethora of weapons at his disposal with Engram, Beckham Jr., Barkley and Shepard. 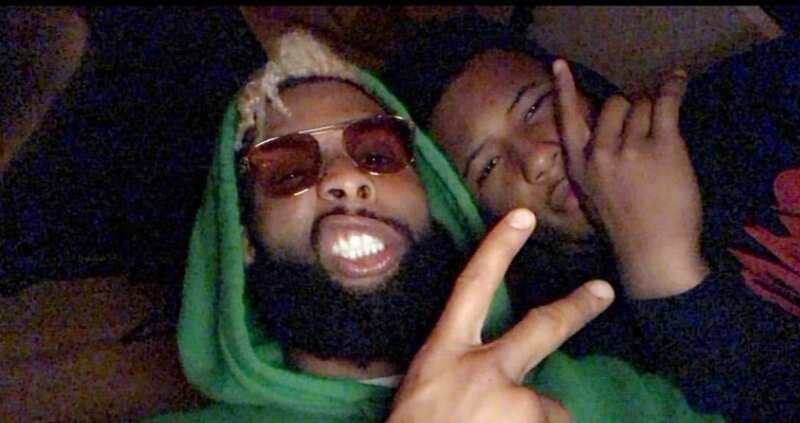 Maybe, just maybe, the Giants’ regime has sent Beckham Jr. on a mission to create a rapport with Barkley, as they want the offense to have chemistry when the Giants select him at No. 2 overall. Very optimistic but hell, who knows? Barkley had great things to say about OBJ when asked about potentially playing alongside him with the Giants. “That would be special,” Barkley told the New York Post. “I admire Odell’s game. He’s a walking highlight. Everyone knows the one-handed plays, but he can catch a slant and take it 80 yards. Not only Odell, [Sterling] Shepard, the tight end [Evan Engram], they’re all special, they’re all talented. Barkley is a class act and knows his contribution to Big Blue would be exactly what they need to reach another level of success. Creating a relationship with Beckham Jr. only gets the ball rolling for a potential future of star-power. How Much Would Marquette King Improve The Giants’ Punting Unit?